Pegram Builders will go through the proper permits to ensure every job is done the right way. We are committed to quality workmanship, honesty, and reliable service with every project we take on in Asheville. At Pegram Builders, we believe you should have contractors you can trust to complete your home renovation project in Asheville, North Carolina. And, while quality workmanship is certainly an important part of that job, it’s also important that your contractor have other qualities that give you confidence and peace of mind. We like to think that we embody these other important qualities, like reliability and honesty, to provide you with the complete package for any home improvement or construction project that you need to complete. When you call on our team, you’ll quickly see that we are prompt to return your phone calls, we always offer honest answers about the work that needs to be done, and we’ll show up on time to work every single day until your project is complete. Our dedicated team knows service quality. Our dedicated team knows that our quality of service is what sets us apart, and we are motivated by the smiles we see on our happy customers’ faces when their dream has become a reality. We also love hearing from them when they hire us for the next project or refer us to their friends because of the high level of workmanship that we employ. In fact, we’ll be happy to provide you with a list of references from our happy customers! 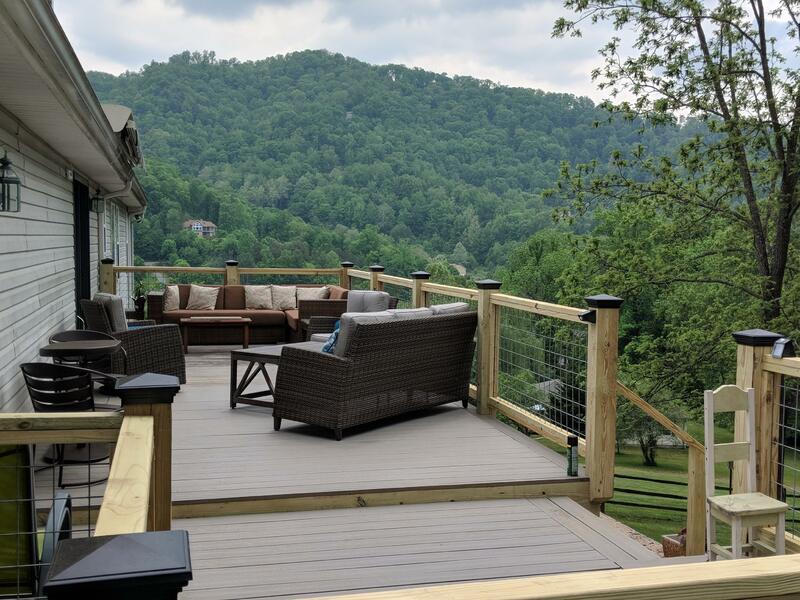 Before you tackle a home renovation on your own or give up on your dream of having a custom deck, just give us a call at Pegram Builders, and we’ll be happy to provide the home improvement solutions you need with great results. Call us today to schedule a no-cost consultation at your Asheville home. We look forward to becoming your winning team!